All-4-Fun, spelled backwards is Fun-4-All!! 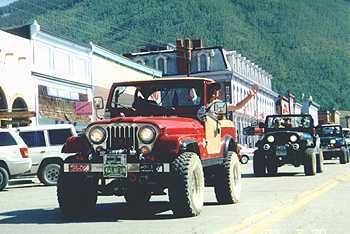 That's what the week is all about, fun for the whole family, and fun for jeepers of all skill and rig levels. 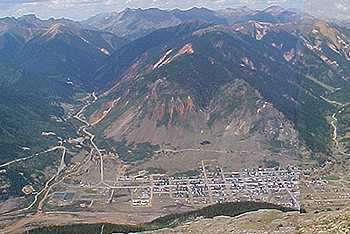 For 2002, it is the town of Silverton. What a week!!! 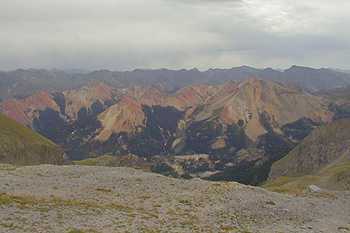 From high altitude (9,318') sun to afternoon showers some days, cool nights (frost one morning), the cool weather was a nice break from the heat!! 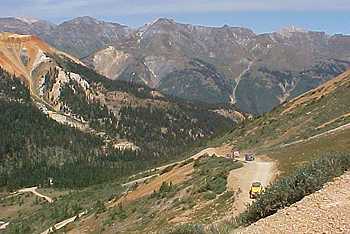 This year, the 36th Annual MHJC All-4-Fun Silverton played host to 200 registered wheelers from Sat. July 27th to Sat. Aug 3rd. Along with some 85-100 MHJC members, were registered participants from all over the country. 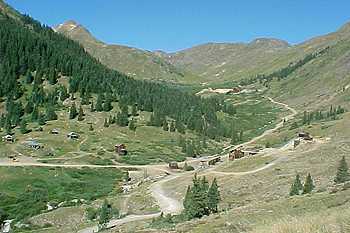 Silverton played host in 94', 98', and 4 years later-2002. 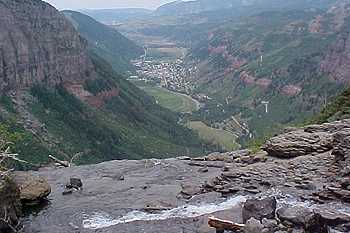 Well over 1000 people attended the weeklong event. Each All-4-Fun every year would not be as successful as the last without the long hours of support and help of each committee member doing their part. Thanks to all who helped, and especially Chair TOM ALLEN, who can now sit back and accept this congratulations. It takes a lot of people to put an event like this together and make it work. Thanks to everyone for making this a fun and successful week. Including Gary Moul and his team for keeping things running and organized. Everyone was so upbeat and in a great mood all week. Was it the beer? 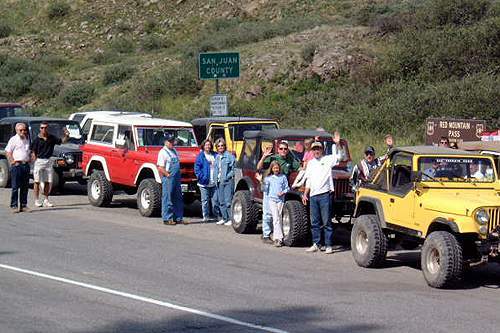 Nope, just friendly people, all with the same hobby-----jeepin'. 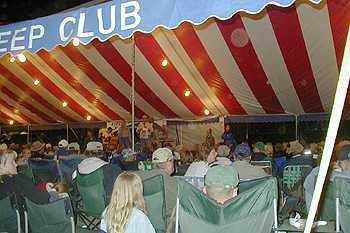 After a long day on the trail, it was great to hang and swap trail stories in camp and under the big top. There was a ban on fires this year, so the campfire stories were told by makeshift BBQ's/flames instead. 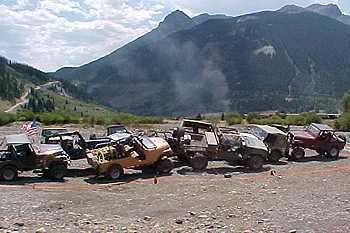 Rob of 4x4 Used Parts Inc. was on hand once again to help out anyone in need of repairs. Discount Tire, Warn and Clemson 4Wheel Center, & 4x4 Xtreme, provided refreshments. 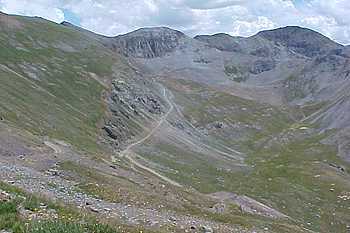 Thanks also to the Traill Bosses for organizing trips everyday, and making the Trail Leader's job easier. They even made up tickets for each trip! 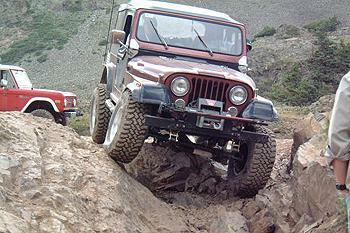 It takes a lot to please over 200 Jeepers with fun trails for all skills and wants-great job! 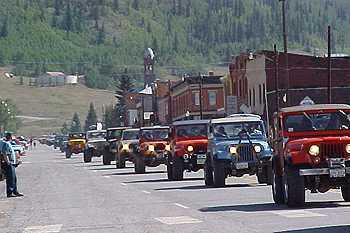 Jeepers from all over the country (farthest this year was from Hawaii-again) come to enjoy a week of jeepin' (5 days), and the social functions held every night under the big top year after year. 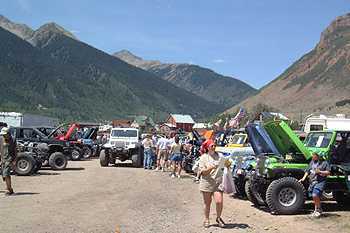 This year in Silverton was no exception, Sat. 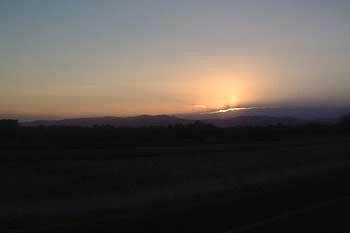 night: Orientation Night, Sun. 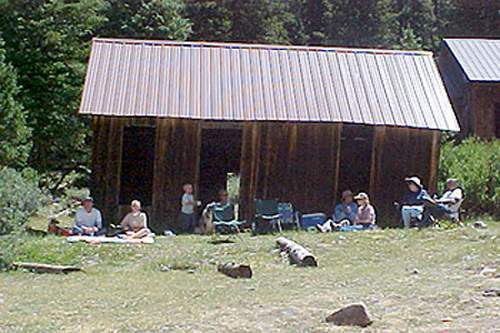 night: Silverton Appreciation Night, Tue. 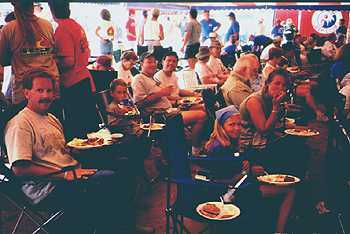 night: Bestop Ice Cream & entertainment, Wed. night: BBQ/Show-N-Shine/Kids Games/Awards, Thur. night: DOOR PRIZE NIGHT, and finally, Fri. night: Warn Night/BBQ/Live Band til quiet hours? (ok-11:30pm). So, as every night was planned, all you had to do was figure out from the 13 or so trips run each day (except Wed.) which one you wanted to do! 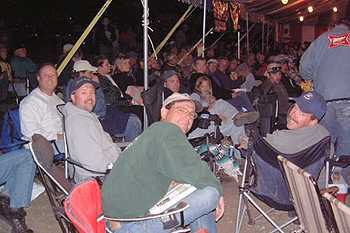 Trips meet up at staging areas and leave on ½ hour intervals from 8-10am. 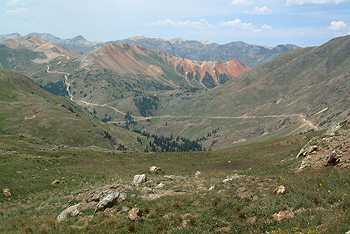 I was a trip leader all week, and lead 5 trips (2 un-official) to some great trails covering the whole area around Silverton: (Saturday: Kendall Mountain Trail, Sunday: POWER GULCHES TOUR-Picayne Gulch/Placer Gulch/California Gulch/Poughkeepsie Gulch/Engineer Pass Trails, Monday: Cinnamon Pass/Carson Townsite Trails, Tuesday: Brown's Gulch/Corkscrew Gulch/Ross Basin/Colorado Basin Trails, Thursday: Black Bear Pass/Imogene Pass Trails and Friday: Stony Pass/Kite Lake Trails. 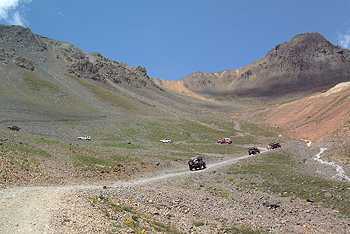 the trails offered at this year's All-4-Fun 2002 based out of Silverton. While some (like Fred & Rodger) had nice cribs with a dish!! 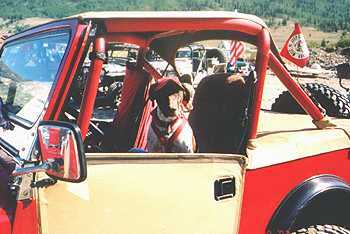 Along with myself and my jeepin-sidekick Molly were Hobos Jed 'Clampett' McClelland-CJ7 (as a Trip Leader) & family Michael and Andrew, Ken 'Toolman' Kordes-CJ5 and wife Nancy Shelby, Associate Hobo Members Scott & Justine Marshall and daughters Cory and McCayla from Vancouver Washington, and Bobbette 'Smiley' Mathews & sons Thomas and Michael up from Stinnett Texas. 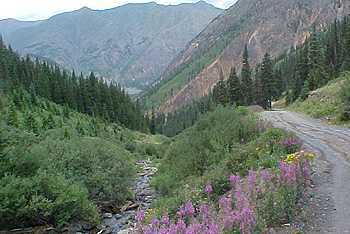 We all camped on the north side of camp next to the pleasant sounds of the Animas River. 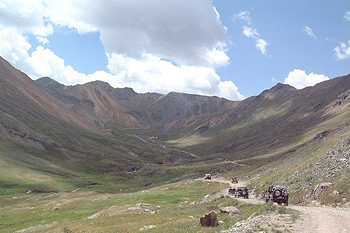 Wednesday was a 'relax' day off from jeepin', and included a full day of FUN. 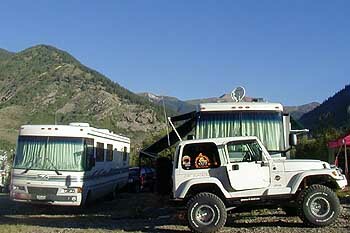 One could enjoy the San Juan's or stay in camp for a full day of activities. 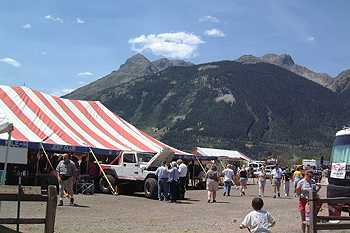 From the morning parade thru Silverton, the Show-N-Shine, Kid's Games, Manufactures under the big top, food and refreshments for lunch and dinner, and the awards ceremony at night, a great day! Lots to see & do on Wednesday, starting with a parade! 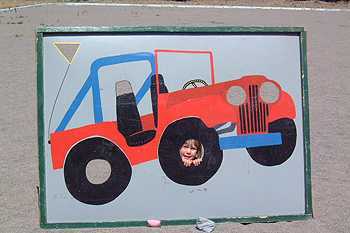 On Thursday night at 7pm sharp, the popular Door Prize night was run by Troy & Melody Mesmer's committee (great job!). Everyone was ready to receive over 300 "NICE" door prizes to registered jeepers who were present (some even took home 2!). How long does that take? Well, (at 11:45pmish?) we had the raffle. I got my $20 worth of Children's Hospital raffle tickets, and not a one even came close. Who cares, it's all for the kids. A big 'Thanks' to Fred Perry of Clemson 4Wheel Center who bid the highest ($750!) 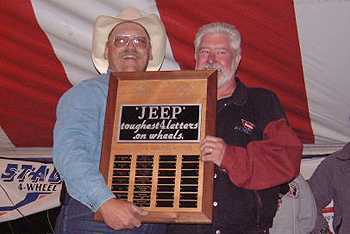 for the "JEEP"-Toughest 4 letters plaque for 2002, with the money going to Children's Hospital. Tom Allen proclaimed that this year's participants raised over $9,000 (most ever in one year) for a smaller group, and pushed the running total over $100,000 for Children's Hospital!! Another fun night under the big top! The week of FUN finished up on Friday night with the MHJC BBQ, free beer/soda, and the band (which has played in previous years) started up at 6pm as part of Warn Night, sponsored by Warn Industries. During intermission, Harold Ogden of Warn handed out some Warn products. Everyone's attention and the excitement builded as the final prize, an XD9000i winch would be given away. Harold looks over at me and calls my name! Wahooo! I was a 'bit' excited to say the least, and just had to high-5 everyone I could, then give Harold a 'big' thank you hug! 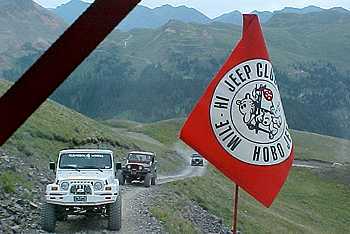 It's on my Jeep as you read this, a big THANKS to WARN for their great support of All-4-Fun, and my new winch! Can you feel the love in the room!!! 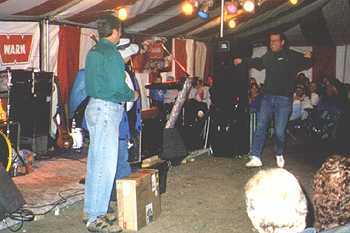 The rain started back up, but the band (which played last year in Salida & Central City, & Fairplay in 99') played on til 11:30pm! By early Sat. 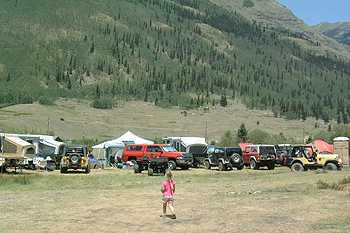 August 5th, the camping sites were almost empty, as happy and content jeepers would make their own treks back home out of the Silverton valley..........See ya next year in LEADVILLE!! 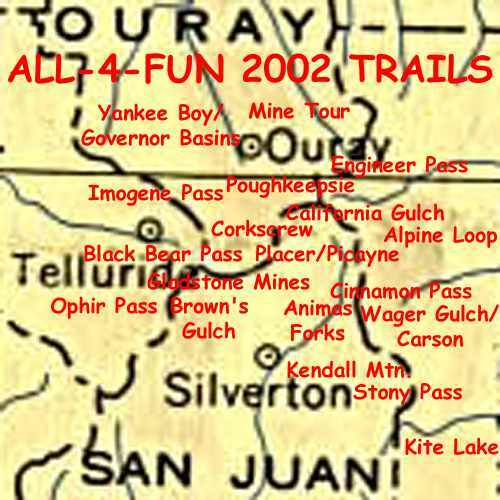 Everyday of the week, either on the trail or in camp, was a blast! This was my best All-4-fun! 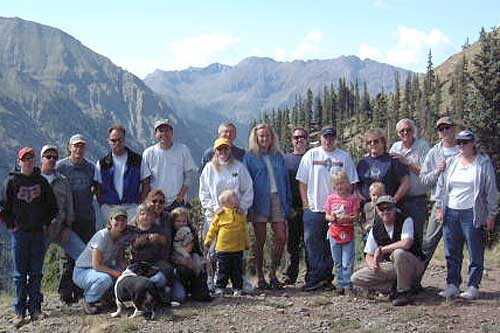 A toast to the hosts and the guests for another successful All-4-Fun this year in SILVERTON 2002! A perfect end to a perfect week!! 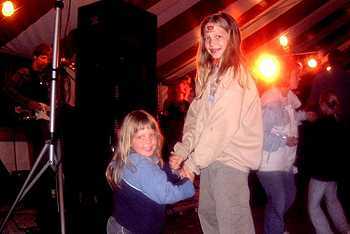 I hope you enjoy my week-long adventures during All-4-Fun 2002, and the accompanying 160+ photos..."